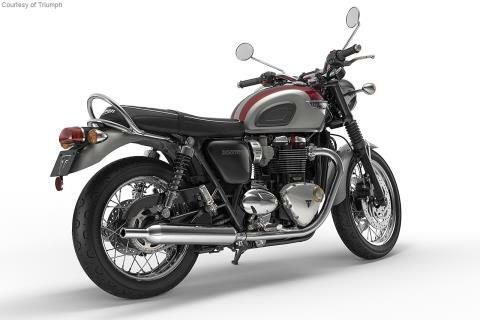 Inspired by the legendary 1959 Bonneville and styled to incorporate the original’s iconic features, the new Bonneville T120 reaches a whole new level of detailing, quality and finish — including deep chrome multi-piece Triumph tank badges, grab rail and innovative twin-skinned chrome exhaust headers and peashooter style silencers. 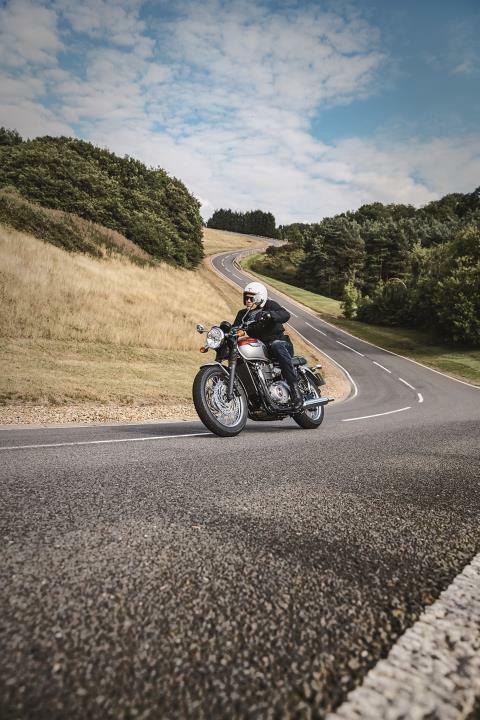 Powered by an all new ‘high-torque’ engine and fed by beautiful authentic twin throttle bodies, the 1200cc power plant is specifically built for this modern classic. 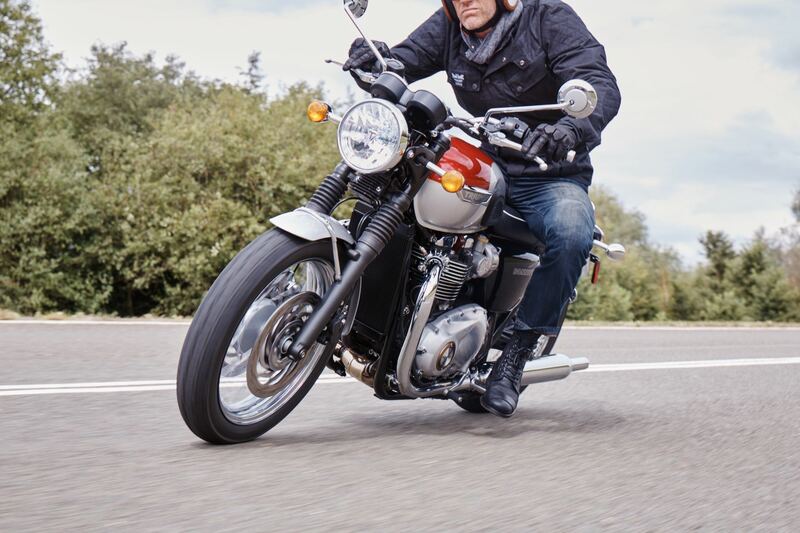 The new Bonneville T120 is a stylish and distinctive statement of Triumph’s past, present and future. A genuine icon, beautifully evolved. LED REAR LIGHTS: New LED real lights, incorporated into the classically inspired and stylish tail set-up, bring a distinctive rear light pattern and power efficiency. ENGINE IMMOBILIZER: A security device that integrates a tranponder into the new T120 key, linked to a receiver in the ignition system, that prevents the engine from running if the correct key isn't used. 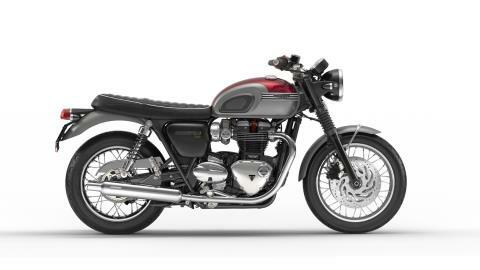 ABS: The contemporary safety standard, Triumph's variable anti-lock braking system brings a new level of control to the Bonneville T120 and T120 Black. 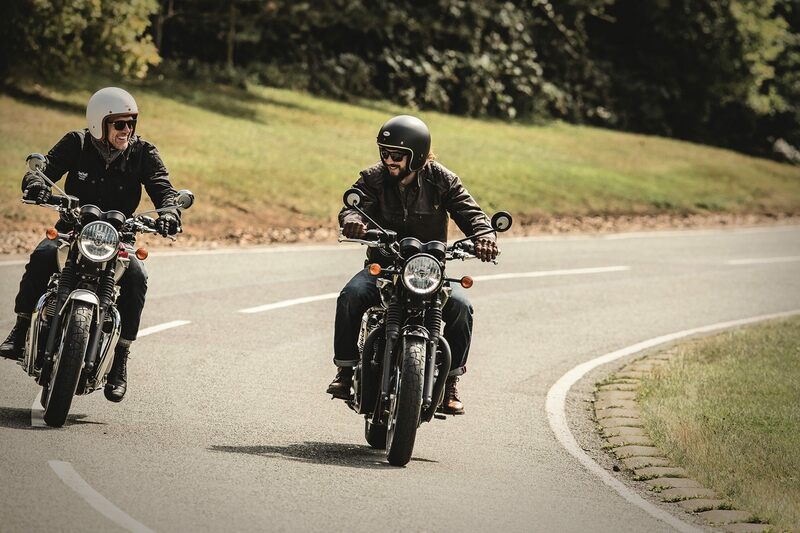 RIDER MODES: Linked to the ride-by-wire system the two selectable Rider Mode options 'road and rain' provide the rider with greater control and safety. TRACTION CONTROL: Taking advantage of the sophisticated ride-by-wire system the T120 and T120 Black indorporates a switchable traction control system that optimizes the delivery of it's class leading torque. 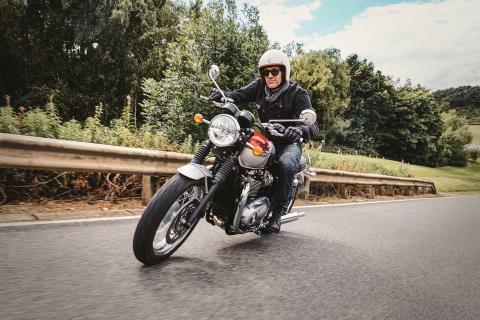 SLIP ASSIST CLUTCH: Bringing a light touch and feel to the clutch control of the T120 and T120 Black, the new slip assist clutch system makes it easy to ride, and ride longer. FINGERTIP CONTROLS: The new T120 switchear presents a simple fingertip control scroll button for easy access to the key features on the new digital clocks. TWIN FEATURE CLOCK: Stylish feature-packed twin clocks (speedo and rev counter) with beautiful 3D dial faces cleverly incorporating a digital menu system accessed by a handlebar mounted scroll button. Key Features include: Rider mode setting, gear position indicator, heated grip status, odometer, two trip settings, service indicator, range to empty, fuel level, average and current MPG, clock, access to turn off traction control and ABS features. DRL HEADLIGHTS: A new contemporary standard, the Bonneville T120s headlights incorporate the latest in daytime running lights (DRL) delivering a distinctive signature light pattern and enhanced power efficiency for long term durability.